DH takes hints well. 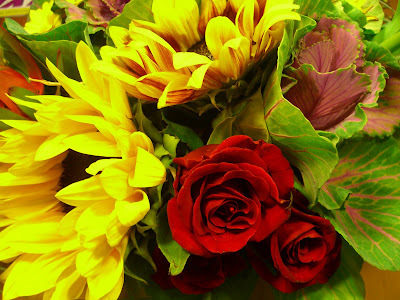 He ordered unusual flowers for me for our anniversary -- a wild mix of red roses, sunflowers, cabbage, and other interesting things I can't name. Spectacular colors! Happy Anniversary Vickie!